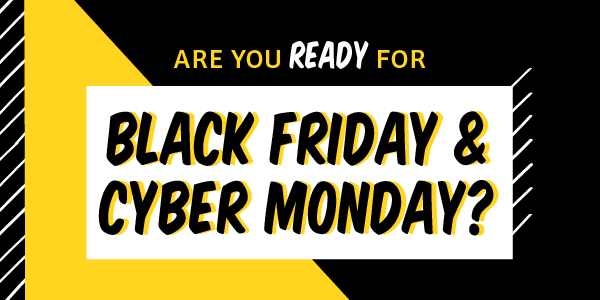 Hopefully you have been preparing for Black Friday and Cyber Monday with our guides for both Merchants and Affiliates. We are certainly getting more and more excited and ready for all the action. Can you believe it is almost time again for all the craze? This is one of (if not the) biggest days for online shopping which means it is an Affiliate Marketers dream come true. These two days are truly important and there are lots of commissions to be made. Don’t miss out on the action! Here are 5 “day-of” tips for Staying Ahead of the Game. Have you seen our Seal these Deals series for Black Friday and Cyber Monday? These posts can give you a quick snapshot preview of our favorite Deals posted in our Deals Database: Black Friday/Cyber Monday Edition. This is where you can find all the special, limited deals posted by ShareASale retailers. Bookmark the page and sign into your ShareASale account often to see what’s new! Another way to stay up-to-date on what deals are posted is to sign up for RSS feeds. If you are already subscribed, then it will be super easy to find any and all relevant deals for your readers, right from your email. Since you should be checking emails regularly anyways, spend an extra moment to scroll through the RSS updates as well. Social platforms can be another great way to see what retailers are promoting and if they are releasing any last minute, special promotions. Use their social media efforts to your benefit and retweet, repost and share! Just make sure that you are following all your favorite Merchants and don’t forget to include one of our handy dandy shortened affiliate links! As tempting as it is to completely sign off of technology in lieu of spending time with family and friends, remember that these next couple days are very important for your business. Schedule time to monitor your efforts, write new posts, send out new deals, or to make any necessary fixes. You won’t regret it!